Well, there is one Christmas gift completed. 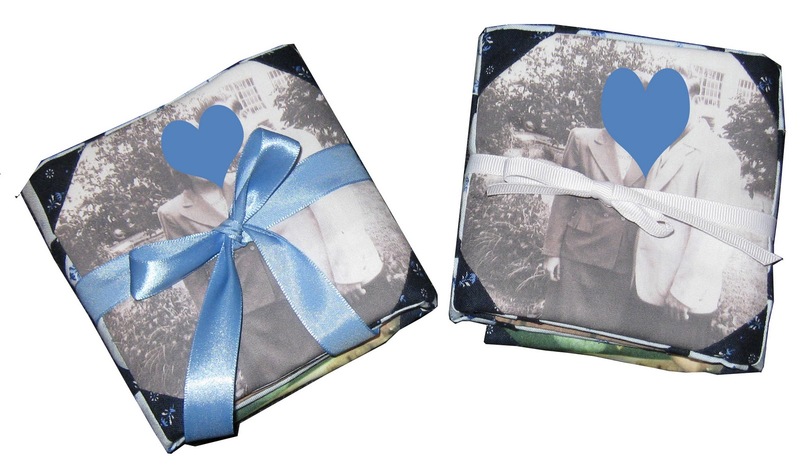 The pair of 12" square photo pillowcases are completed. I didn't want to add a pillow form to go with them since it would be too obvious when wrapped so I carefully folded them to present the center photo. I added a ribbon and all is done. I may change the white ribbon if I can find a similar blue ribbon. Very happy they are completed and now I can move on to a bunch of other items to get done for Christmas.